Early this year, the blogger "Fra Cristoforo" on Anonimi Della Croce posted about the development of an "Ecumenical Mass" for Catholic and Protestants to celebrate together. The blog is now back with a new address and the rumour has actually gained some credibility. We wrote about the latest on this blasphemous matter in a story by Marco Tossatti. Now, in his blog, Stilum Curae, Tossatti goes even further in describing the unrestrained influence of a lay Italian "liturgist," Andrew Grillo, who is involved in a major way, in the process, Grillo is a professor at the Pontifical Academy of Saint Anselmo. You can read the detailed analysis by Steve Skojec over at OnePeterFive. What does Bergoglio think of all this? Be strong friends, it is getting very rough. Remember that Christ has already won it. Do not submit to these malefactors, these liars, these haters of Christ. Denounce these men. Denounce their actions. Denounce this ecumenical abomination of desolation which removes Christ from the Mass. Denounce any bishop who forces it. Denounce any and every priest who participates in this blasphemy. Do not accept it under any circumstances. Amoris Laetitia is more about the Holy Eucharist then anything else. They hate the Truth, they hate Our Lord, they hate His Church, they hate you. And Bergoglio still will not genuflect at Mass. Same should go for the Novus Ordo! Denounce it and all who say it! The same can honestly be said about Paul VIs Novus Ordo. Why is Bergolio's worse than Montini's? The abomination of desolation occurs when bread and wine is no longer being transubstantiated into the Body, Blood Soul and Divinity of Blessed Lord Jesus Christ during the Holy Mass in Catholic Churches. This is an abomination to Almighty God and leaves desolate the Tabernacles within Catholic Churches. I have been told some time ago (years) by a Bishop that when the abomination of desolation begins I should continue with Sunday mass obligation at a SSPX church until such time as it can be determined were to find a good Catholic priest who does not put a pope or instruction from the Vatican before their responsibility to God and for His people. Here masses said in private homes are illicit. This is an effort by those in charge to enslave the faithful to the abomination of desolation as many will think they have no choice. You do have a choice. RESIST AND DISOBEY! If you find a good priest willing to say a mass invite them to your home if you can have them say a mass there. Invite others so they too can have the opportunity to attend. 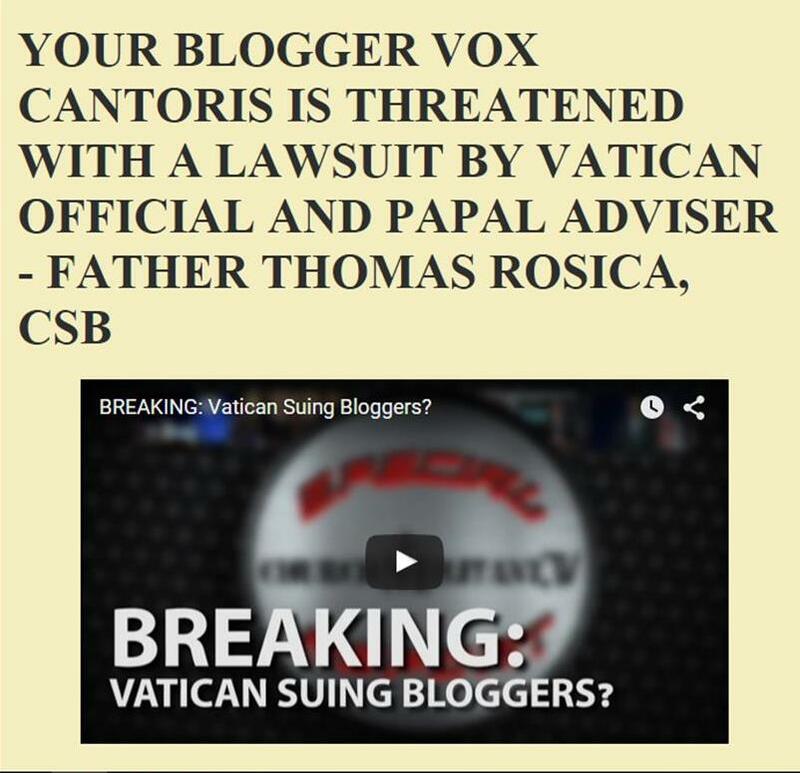 Tom, Folks have been pacified regarding the novus ordo. Now their "shock" will be some other satanic liturgy. But not the novus ordo of course. The ecumenical Protestant "mass" will probably happen, and eventually--3-5years--replace the Novus Ordo "protestant" Mass. This will be accepted by 75% of Catholics. Simultaneously there will be a schism. Unless God decides to intervene. Tom, Michael and others....Just a FYI: Not ALL people that have no other choice at times than to attend the N.O. Mass are 'pacified' and 'stupid'. There are those of us who at times have no choice unless we stay home altogether and don't attend Mass on Sundays and Holy Days. Don't put all of us into the same camp. The N.O. Mass may be illicit but it is a valid Mass, and if said the right way the Consecration is still valid. I really resent the barbs thrown at N.O. people as if we all have a choice EVERY WEEK to attend the TLM or the N.O. Mass. The 'snobbery' is unprecedented among the TLM people who look down on people that don't have the opportunity for such. You may just be surprised at the number of N.O. Mass attendees that would happily die for Christ and His true Church!!! You may be surprised at the number of N.O. people that know EXACTLY what's going on in Christ's Church and how Bergoglio is burning it to the ground!! Oh and last but not LEAST: The 'difference' between the now N.O. Mass and the Satanic 'Mass' they will be initiating is mega. With this new Satanic Mass they want to initiate, there will BE NO CONSECRATION AT ALL, for the benefit of the Protestants. At least with the N.O. Mass as it stands now, as neutered as it is, it is still a valid Consecration and with this new abomination there WILL BE NO CONSECRATION AT ALL. It will cease to be a Mass at all. It's incomparable. Oh, and just one more thing! Wonder how many now know that the N.O. Mass is NOT THE ONLY RITE THEY ARE LOOKING AT TO BURN TO THE GROUND???!!! This CDW is also looking at ways to neuter the TLM!! So......don't put your noses in the air too high, they may just be cut off. Some years ago, in the North West of England, a diocesan media priest did a deal, relative to an iconic church, to have the regional TV company transmit all manner if ecumenical (?) pseudo-Masses and the like - including joint (C)ommunions. The then bishop denied the said church to Traditionalists, on the basis such would have a deleterious financial effect upon adjacent parishes. Enter a new bishop and the church is now in the hands of ICKSP. Further they have taken-on another church and are entrenching themselves in the area. Deo Gratias. TLM, not all are so sure of its validity. The consecration has been greatly altered. The intent is now unknown. You are assuming validity. There are plenty of sspx and sede chapels that will not be affected by the CDW messing with the TLM. But it was bound to happen. What Benedict permitted, Francis will forbid. Have fun everyone who still thinks these modernists run the Catholic Church. Andrew Grillo should revisit his studies on the Dogmas of the CC - The Body and Blood of Jesus Christ are truly, really and substantially present in the Eucharist. (De fide.) If he doesn't believe, like so many schismatics, then he isn't Catholic & shouldn't be pronouncing on Catholic liturgy. He should also be removed from his position at the Pontifical Academy of Saint Anselmo. Another challenge for our faithful academics to consider.